She was a fast boat, a successful boat, and not bad too look at either. 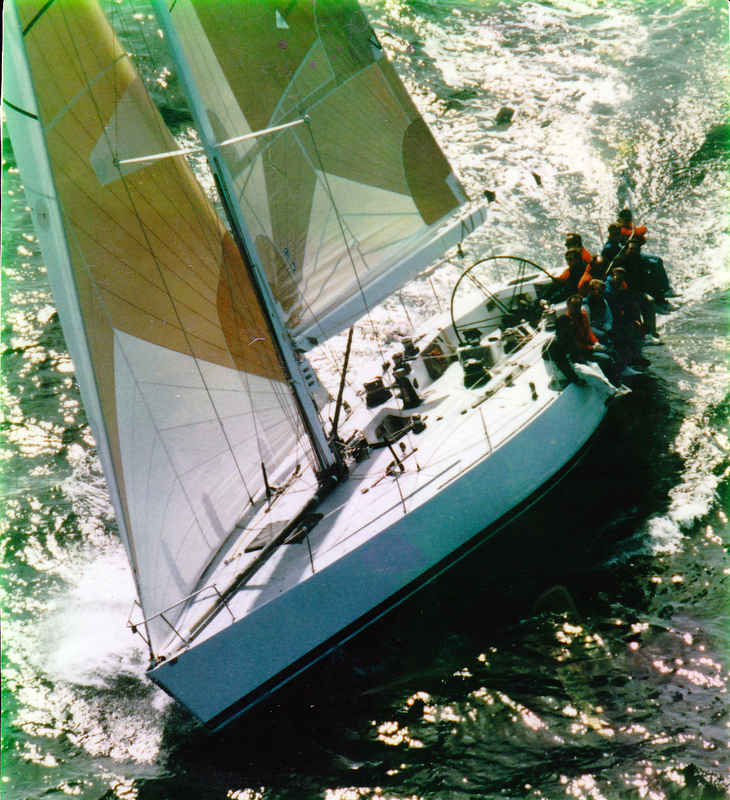 I got to sail on her a number of times and had fond memories… even after design philosophies moved on, and rating systems changed, she was a powerful machine and loved to strut her stuff. Ouch. Ignobly waiting a new owner, which might be tough to come by. 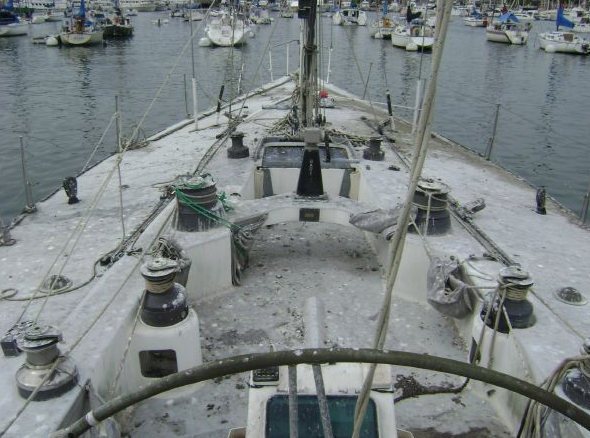 They are virtually giving her away (asking $19K), so maybe she’ll find some love… take care of your boats, folks, and they will take care of you! 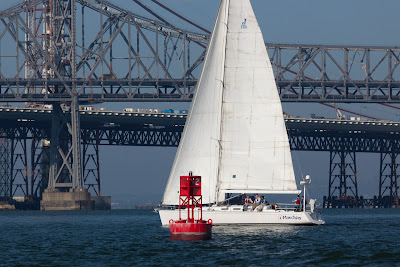 A bit of weather blew thru San Francisco the tail end of last week, but scooted on by before the weekend leaving us with some great sailing. 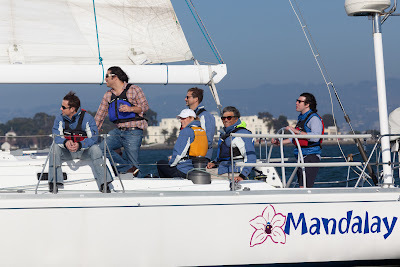 Here’s one of the classes heading back to the marina at the end of the day Saturday. Lookin’ good. San Francisco Bay or Puerto Vallarta, you pretty much couldn’t go wrong. 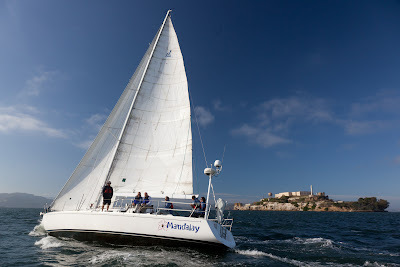 All our sailing courses are up and running at both locations, plus charters and special cruising and racing events. 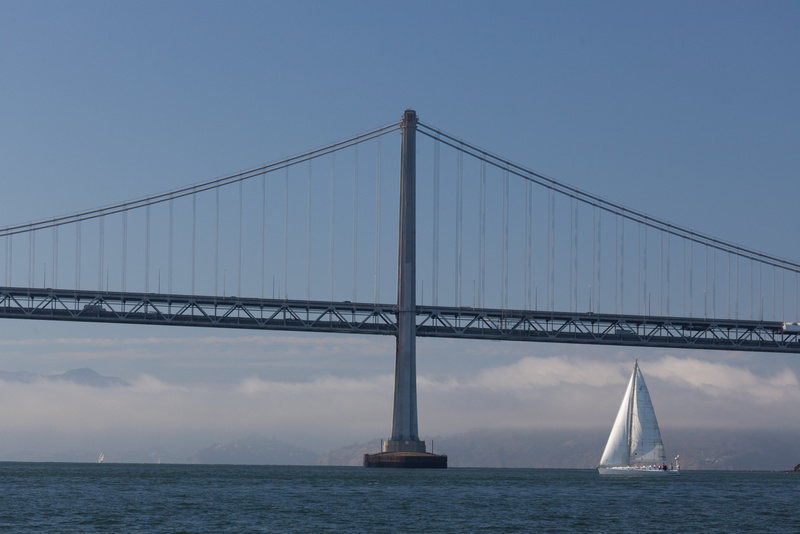 And hopefully the sailing was as nice wherever you were, and we’ll see you on the water soon! So, not that I am complaining, but it’s been hot down in Puerto Vallarta. But things have cooled off and the weather is pretty much perfect right now. The air conditioning is now off, and the daily seabreeze blows thru the J World office all afternoon. Life is good. And the sailing is excellent. 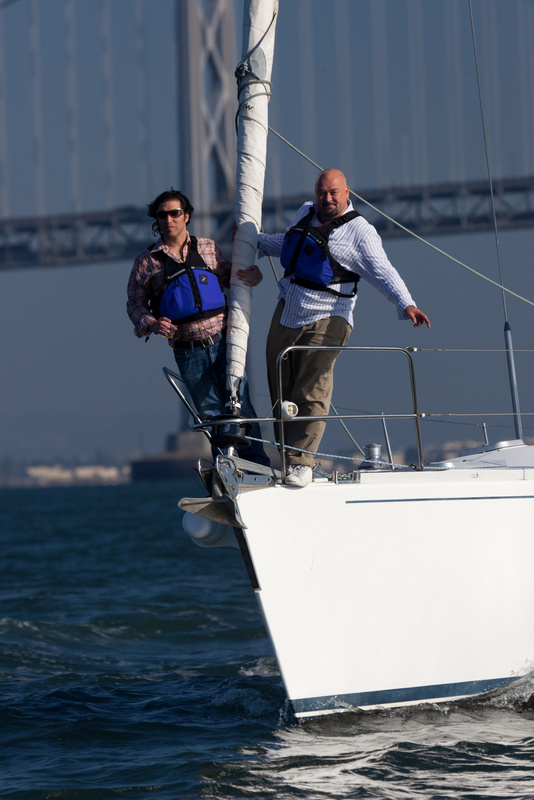 We just wrapped up our first Learn-to-Sail class of the season, but have plenty more on tap. Plus cruising options, and our next Racing Week is starting December 12… and check out the list below for all the Special Events we have happening. Man, this is going to be some winter! 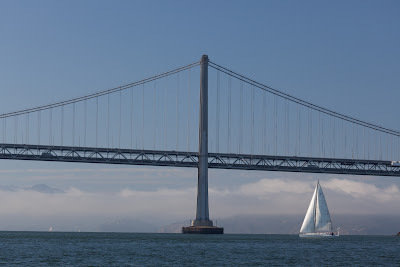 Meanwhile, SF Bay has had some beautiful days. Check out our blog for some great shots of a recent corporate sailing trip aboard the beautiful 52 foot J/160. Look a little too relaxing for you hotshot racers? Keep reading..
Join our J World Team on a J/80 for this winter series. 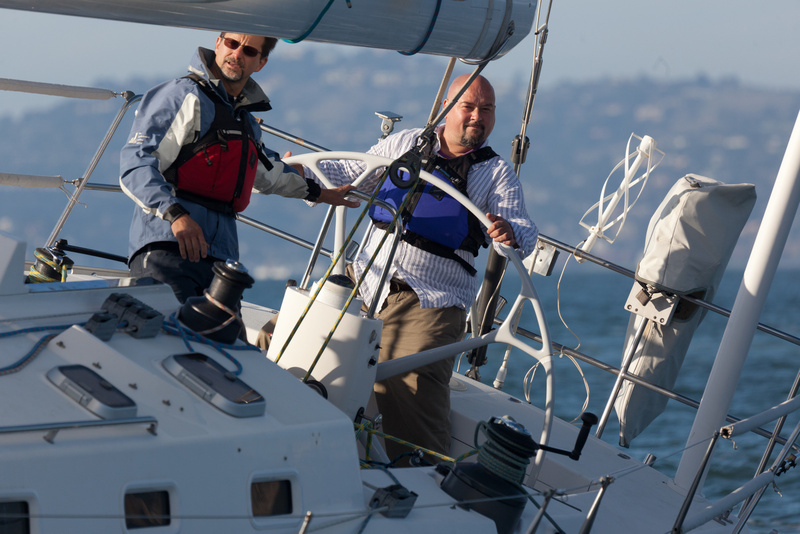 Participants rotate thru all the positions onboard (including helm) and gain valuable insights and experience from an onboard J World coach. Take advantage of the winter months to see what racing is all about, or if you already have the bug, improve your sailing skills and prep for the 2012 season. This is coming right up – first race in 10 days so contact us now for details! March 10-17, 2012 – Limited Spaces Remaining! MEXORC is a truly special event. 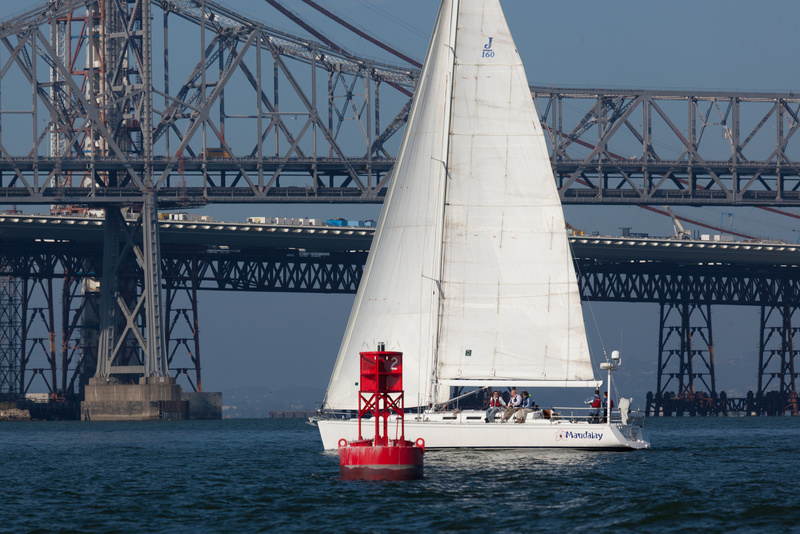 Held every two years, the regatta plays host to all the boats that have sailed down from California in the San Diego to Puerto Vallarta Yacht Race, and the Mexican fleet that comes up from Acapulco. There are six days of racing, including three days of point-to-point medium distance races all around Banderas Bay, and three days of buoy racing. This event traditionally has a truly fantastic shore side agenda, including full tilt kick off parties, beautiful on-the-beach dinners, and an extravagant closing ceremony… in fact, it is so over-the-top that the President of Mexico even came to the last MEXORC! 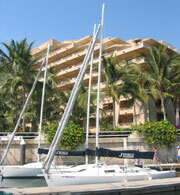 Every March, J World runs a special event in Puerto Vallarta aboard our fleet of J/80s. We start off with a three day racing clinic, essentially and abridged version of our renowned weeklong racing course. 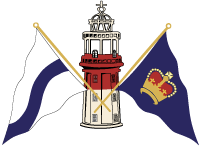 Boathandling, sail trim, spinnaker work, strategy, tactics… we cover it all! Then it’s showtime! You get to race in the Banderas Bay Regatta with one of our coaches aboard. 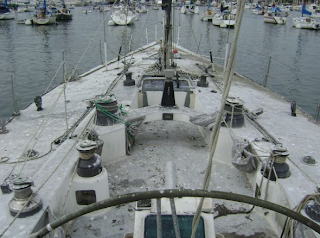 Everyone on the boat gets a great workout at all the positions, from helming to trimming to tactician. If you want to advance your racing skills and have a truly memorable time doing it, this is perfect for you. The dates for our annual cruise across the mouth of the Sea of Cortez have been set. 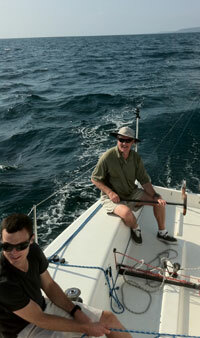 April 29 to May 4 come join one of our top cruising instructors for and adventure in the tropics. We’ll spend a day or two in the beautiful Banderas Bay, then work our way up the coast of mainland Mexico visiting small towns, beautiful anchorages, and remote islands along the way. Then we’ll turn West, and head for the southern end of the Baja peninsula. 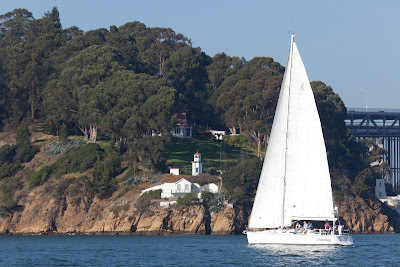 Great sailing, beautiful scenery, incredible wildlife are all on the agenda. More info here. Berths now available on the 2012 Pacific Cup race from San Francisco to Hawaii aboard our 50 foot sled, Hula Girl. Now is your chance to hop on a fast boat with great coaches and take off on the ride of a lifetime. Last year, we got third in class, and fifth overall…. and in 2012 we’ll be looking to beat that! J World offshore racing programs have been getting a huge amount of praise from all sources, and there is nothing else in the world like it. Visit here for more info. We thought we’d share some pictures with you of a recent corporate outing on San Francisco Bay aboard one of our 50 footers, the elegant Mandalay… Makes me want to go sailing. Right now. Many thanks to Peter Lyons of Lyons Imaging for the great shots! Ideal Day on the Bay. Golden Gate Bound. Puerto Vallarta Sailing Season Kicks-Off! Hey everyone… This week officially kicks off our winter sailing season in Puerto Vallarta. We are starting things off with a Learn-to-Sail course, but have all manners of sailing classes on tap… cruising, racing, and general seamanship. Beautiful Banderas Bay is a natural wonder. Some 22 miles wide and 24 miles deep, the Bay boasts ideal sailing conditions throughout the winter. Daily seabreezes combined with shorts-and-T-shirt weather from October to April make this one of the nicest winter sailing destinations in the world. That’s why J World is here. And did I mention the scenery? The old town of Puerto Vallarta is tucked in the southeast corner, right at the base of the spectacular Sierra Madres, where the jungle comes right down to the water in a spectacular way. The popular Los Arcos, the secluded village of Yelapa, the rugged Marietta Islands with their secret beaches, and the world-class Punta Mita playing host to everything from the Four Seasons to trekking surfers are all right here. Whales, dolphins, sea turtles, manta rays, and more. 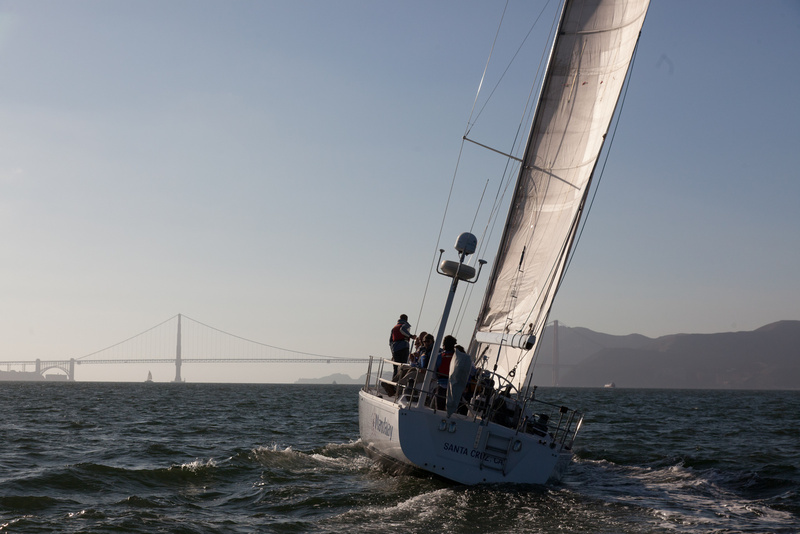 Great sailing, The best school in America (and out of America!). Beautiful resorts. Perfect, perfect weather. Really, what are you waiting for? Get on down here! 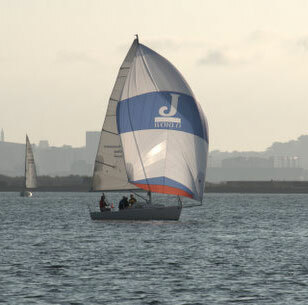 http://sailing-jworld.com/jworldwp/wp-content/uploads/2015/01/Header-Logo.gif 0 0 jworld http://sailing-jworld.com/jworldwp/wp-content/uploads/2015/01/Header-Logo.gif jworld2011-11-01 21:08:002015-01-05 19:40:10Puerto Vallarta Sailing Season Kicks-Off!